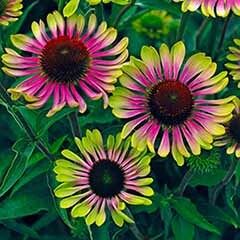 pink-flushed, variegated leaves and lipstick pink, purple centred flowers. 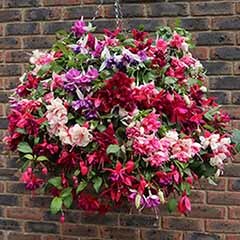 Fuchsia 'Sunray' is a designer's delight with glorious, cream-variegated foliage, flushed pink at the margin, followed by purple-centred, bright pink flowers. 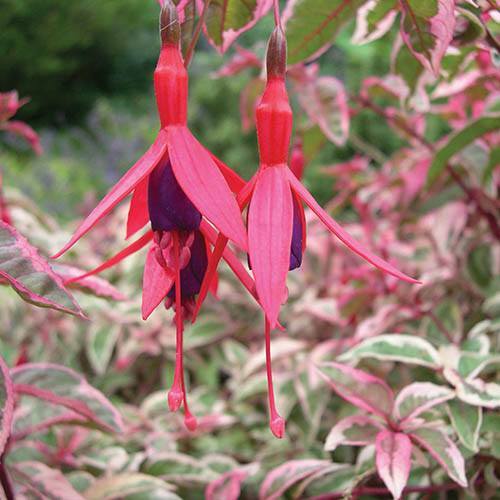 Unusually for a variegated fuchsia, it is fully hardy in the UK. 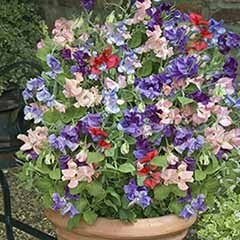 Ideal planted up in a container for the patio, it goes wonderfully with purple and lilac annuals. 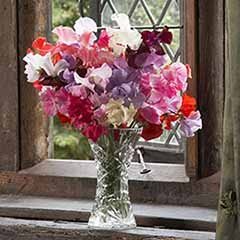 'Sunray' performs equally well in the flower border, where it will thrive in a sheltered location growing larger year on year as it establishes. 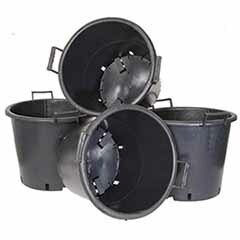 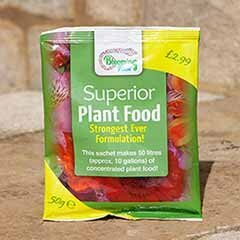 Supplied as 3 young plants in 9cm pots, ready for you to put on or plant out when all risk of frost has passed. 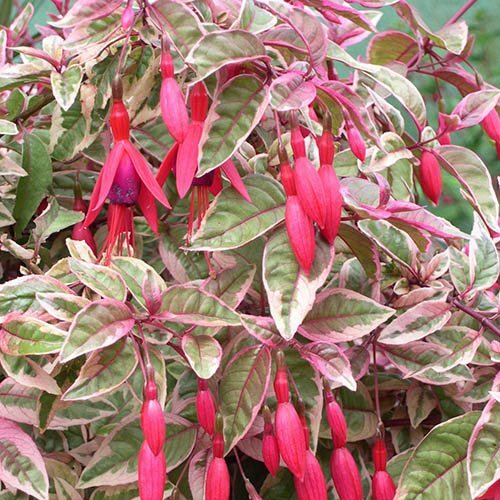 A designer’s delight, Fuchsia 'Sunray' is an all-in-one fuchsia with glorious, cream-variegated foliage, flushed pink at the margin, followed by purple-centred, bright pink flowers. 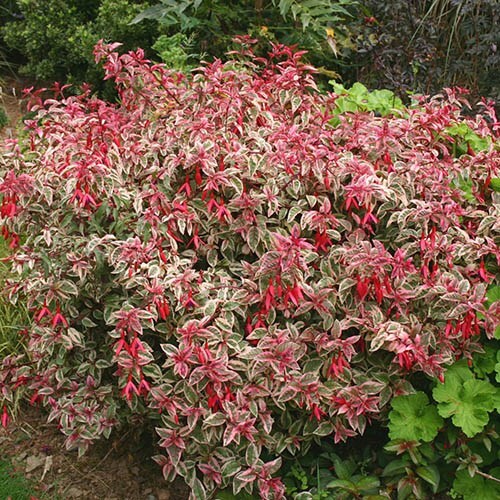 Unusually for a variegated fuchsia, it is fully hardy in the UK, regrowing from the base if knocked back by frosts. 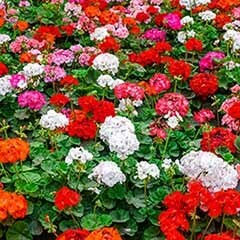 Ideal planted up in a container for the patio, pair it with annuals in purples and lilacs such as the fluffy ageratum, for a contrast in texture and colour. 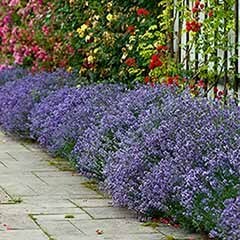 If you prefer your plants in the garden, then 'Sunray' will do equally well in the flower border, where it will thrive in a sheltered location in light, well-drained soil in sun or part shade, growing larger year on year as it establishes. 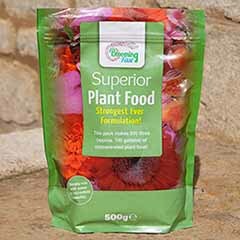 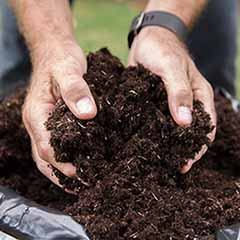 Flowers June to September with a height and spread of around 50 x 50cm, your order will be sent as 3 young plants in 9cm pots, ready for you to put on or plant out when all risk of frost has passed. 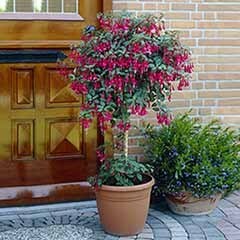 Pinch out the growing tips of your fuchsia plants once, to promote bushier growth and more flowers. 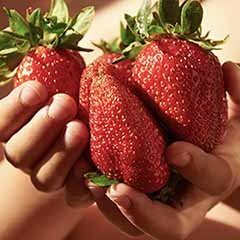 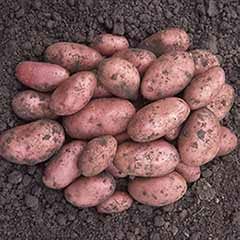 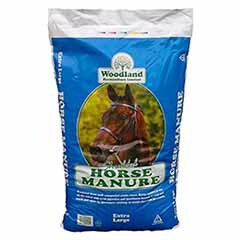 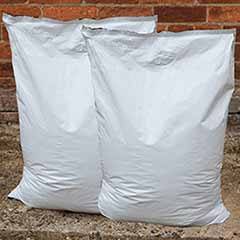 Prefers moist, well drained soils and is hardy, but may need protection from the worst of the frosts. 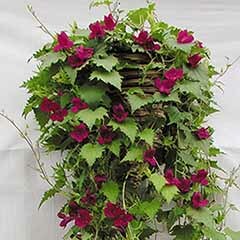 The variegated leaves will remain on the plant through the winter if left unpruned.